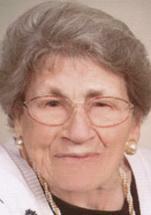 Mary Anna Benson, 90, of Reinbeck, died Thursday, May 22, 2014, at her son’s home in rural Reinbeck. She was born Oct. 4, 1923, in rural Cedar Falls, daughter of Alfons and Josephine Schumacher Hum. On April 25, 1946, she married Willys Benson at St. Patrick’s Catholic Church in Cedar Falls. He preceded her in death. She graduated from Finchford High School. Mrs. Benson and her husband farmed in the Dike/Reinbeck area until retirement. She was a member of Saint Gabriel Catholic Church. Survived by a son, Richard (Karen) of rural Reinbeck; a son-in-law, Edward Held of Waterloo; four grandchildren; four great-grandchildren; two brothers, Carl(Lucille) Hum of Alabama, and Paul (Carol Kurieger) Hum of Evansdale; and two sisters, Martha Hum of Waterloo and Frances (Ron) Ciesielski of Independence. Preceded in death by her parents; and a daughter, Joan Held. Services: 10:30 a.m. Wednesday at St. Gabriel Catholic Church, rural Reinbeck, with burial in Elmwood Cemetery, Dike. Visitation 4 to 7 p.m. Tuesday at the church, with a 6:30 p.m. rosary.